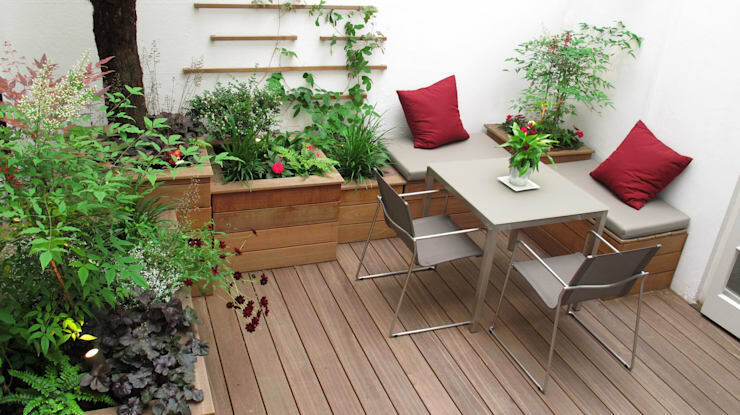 There are so many possibilities in the garden for people who adore any style. 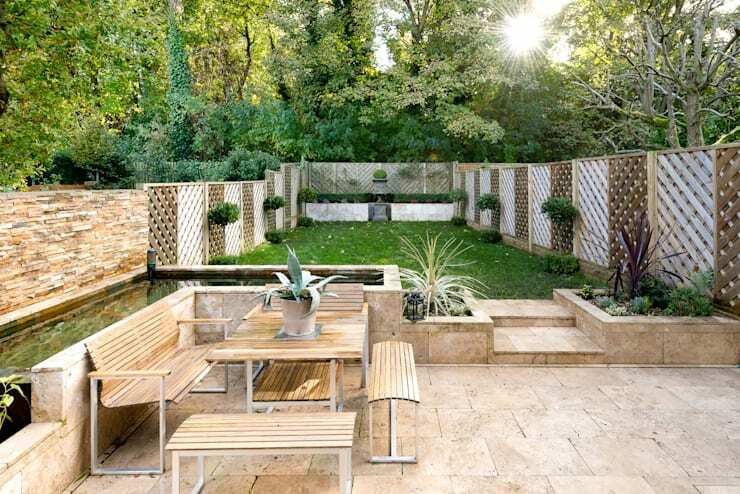 There are minimalist gardens, rustic gardens, and even green spaces for those who have a romantic flair. 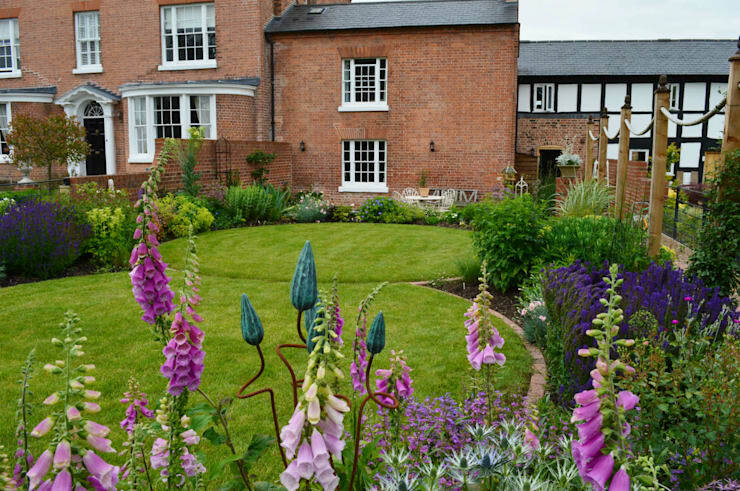 This tour through 21 gardens will inspire all of us. It may even turn you onto a style you never expected. And it certainly will give you new inspiration for your favourite summer hang-out. 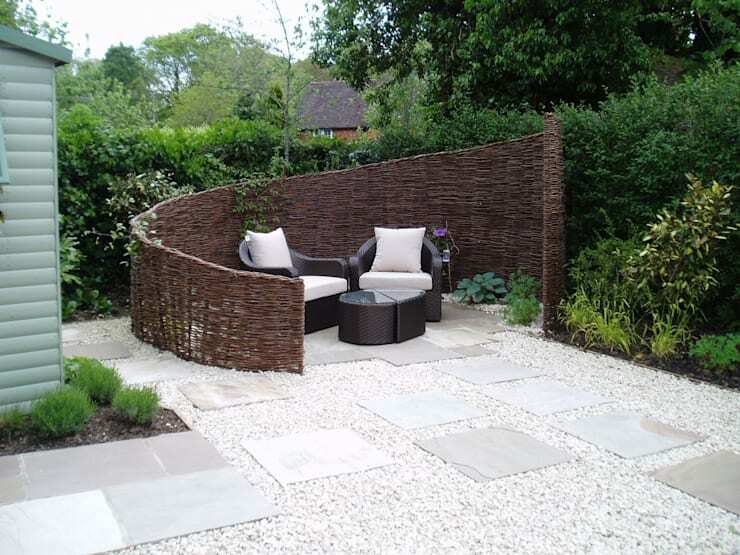 This curved wall gives the modern graveled yard a sophisticated appeal. 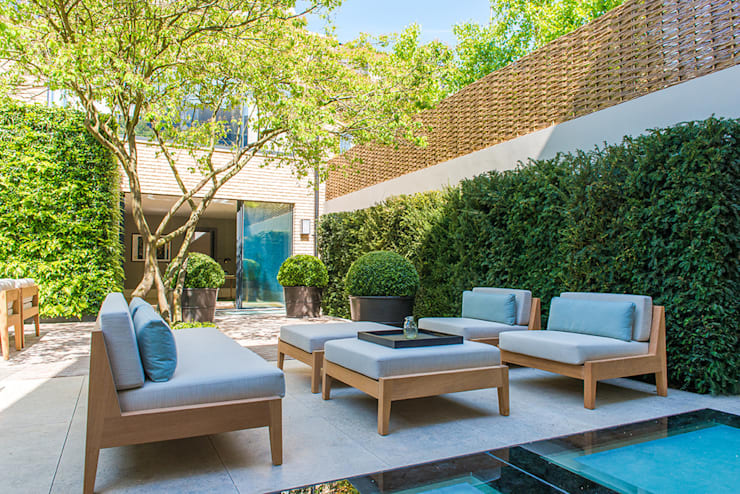 It makes sense to have furniture outside, but usual garden choice are so uncomfortable, Make your space truly relaxing with a couch. Don't settle for sharp corners in your lawn. Try a rounded shape, like these double circles. 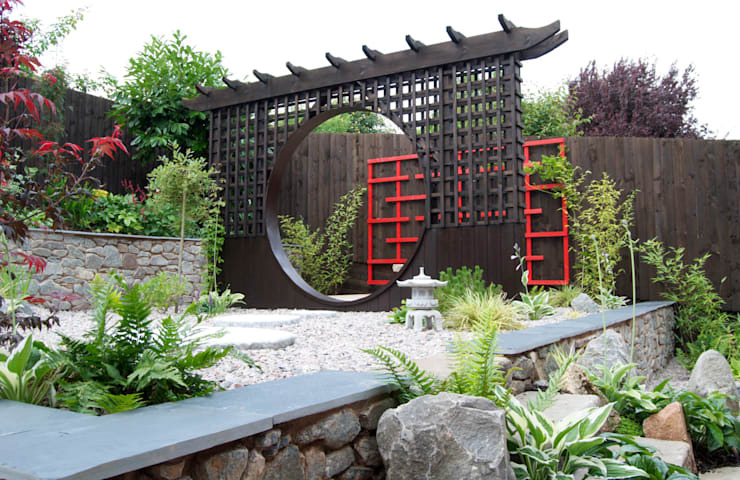 If you need a style upgrade, try making a bold move with your focal piece, like this Asian-inspired gateway. 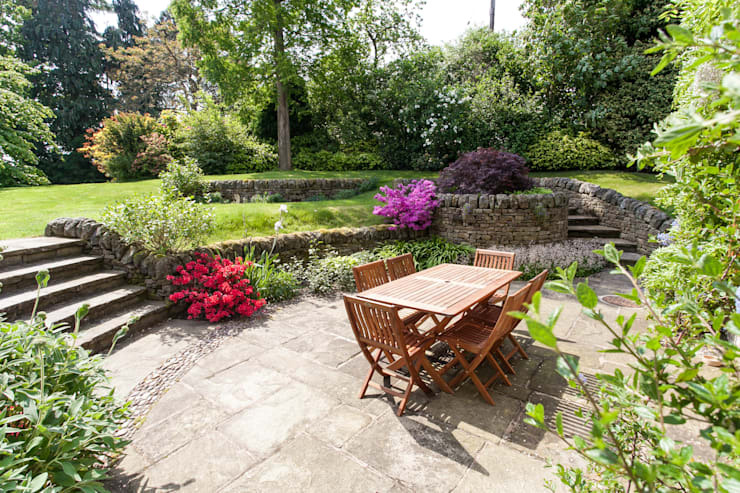 Narrow gardens are easily divided to create the illusion of more space. For children especially, this kind of garden is an adventure. 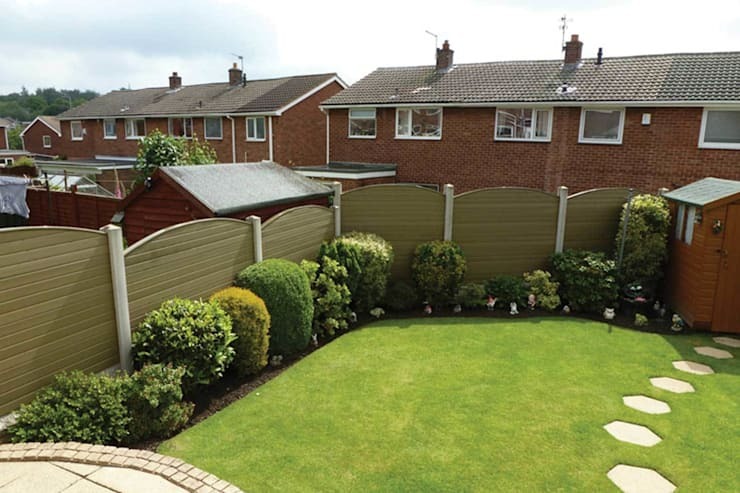 Sloping backyards can be very frustrating to deal with. 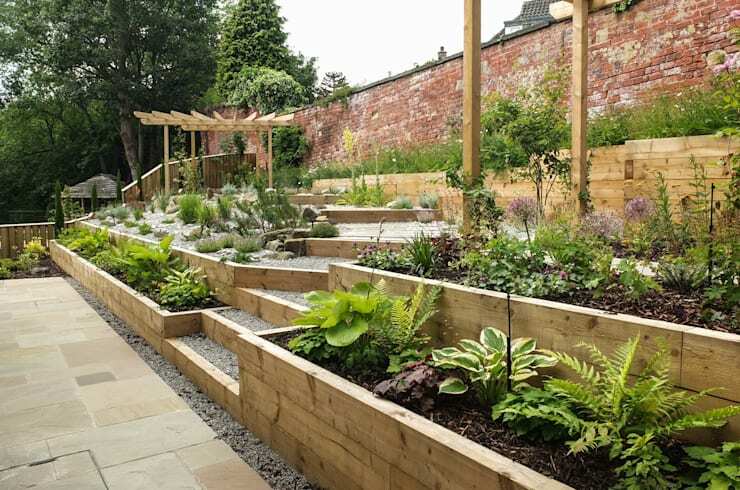 The best solution is to create steps like in this garden, which provides you with level beds and new walking space. 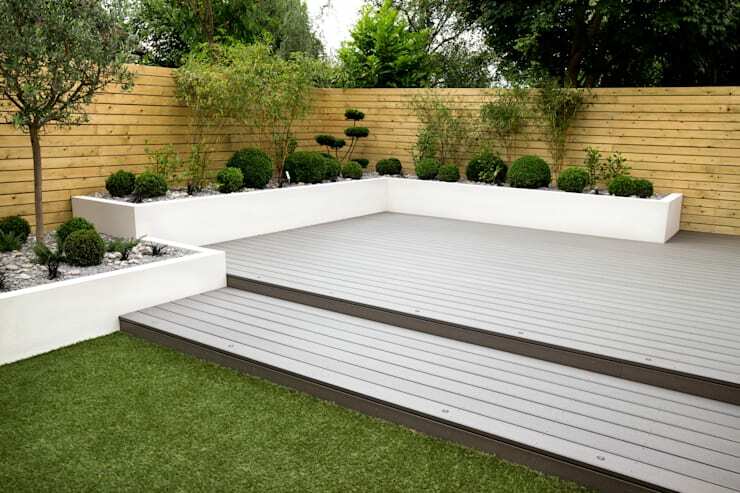 If your outdoor space feels cluttered or dull, white paint is a sure way to make it look modern and sharp. Small spaces can still have details, like tiny connected beds, small shelves, and a seats built into the beds. 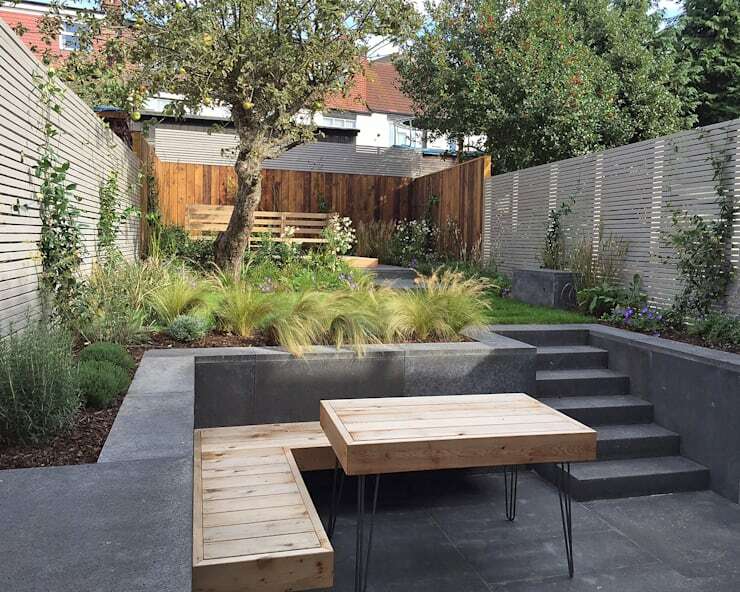 You can get simple style in gardens with modern materials laid out in angular shapes. Keep the plants simple too. 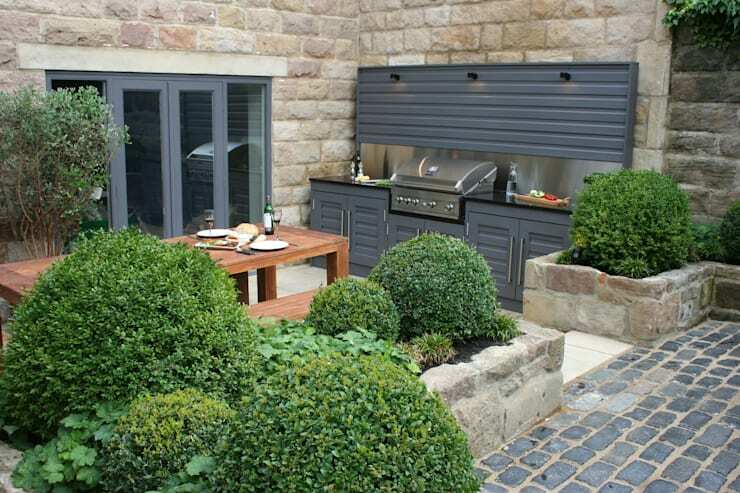 If you barbecue regularly why not make the space as functional as possible? Green shubbery immaculately shaped is the tell-tale sign of a classic garden. There's even little characters scattered throughout the greenery! Decorative rocks are a great addition to any garden. Think outside the box with unusual stones, like slate. 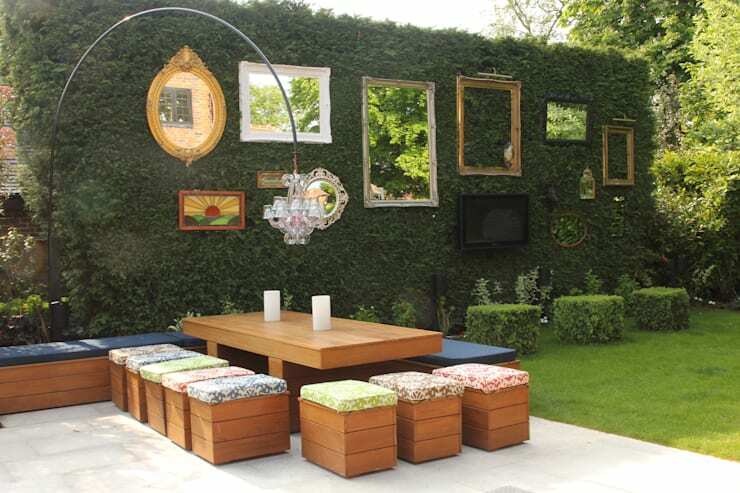 Why not bring the traditional elements of the living room into the garden? It makes for a very unique space. 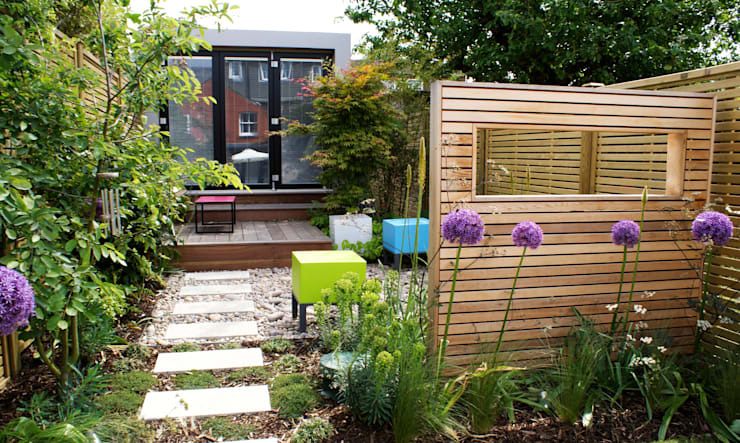 Was that last minimalist garden just not simple enough for you? Than this one will fit the bill. 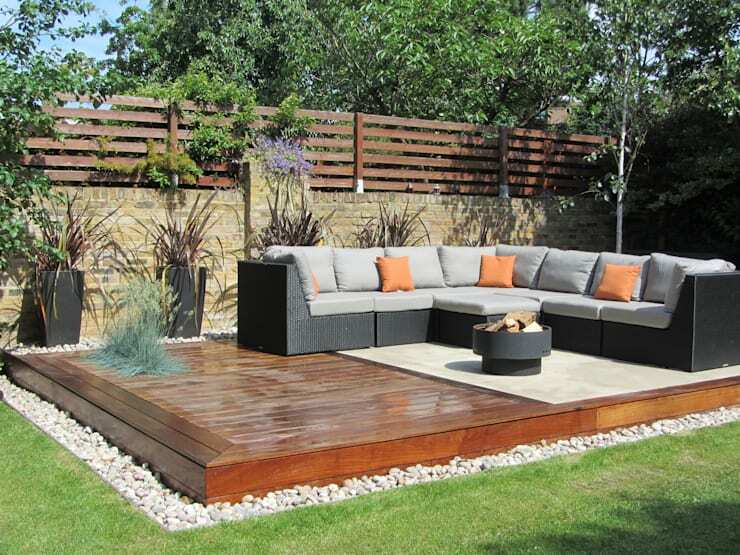 A landscape architect can help you achieve this look. 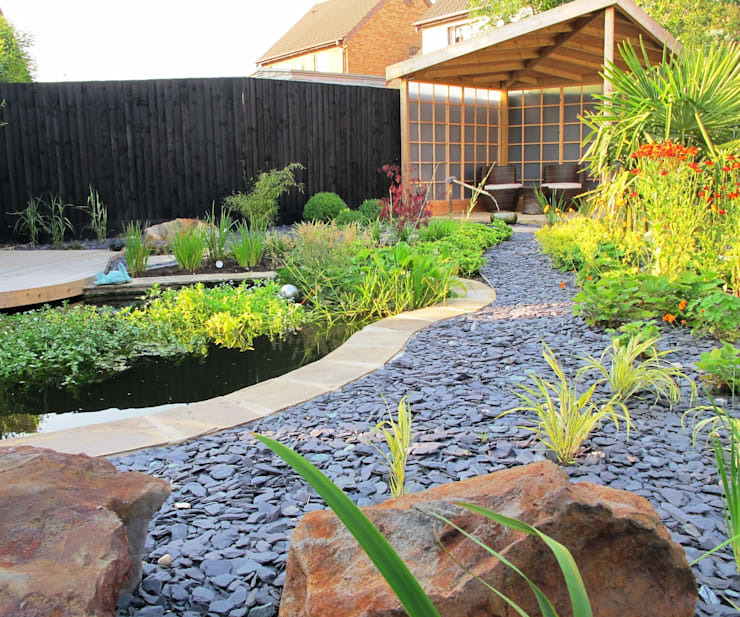 For that harmonious look, use natural and rough stones to create space in your garden. If you love sitting outside invest in some specially made furniture. It can be made to fit your space and with weather-proofing features. One way to spice up a simple stone pathway is to add a vertical element. 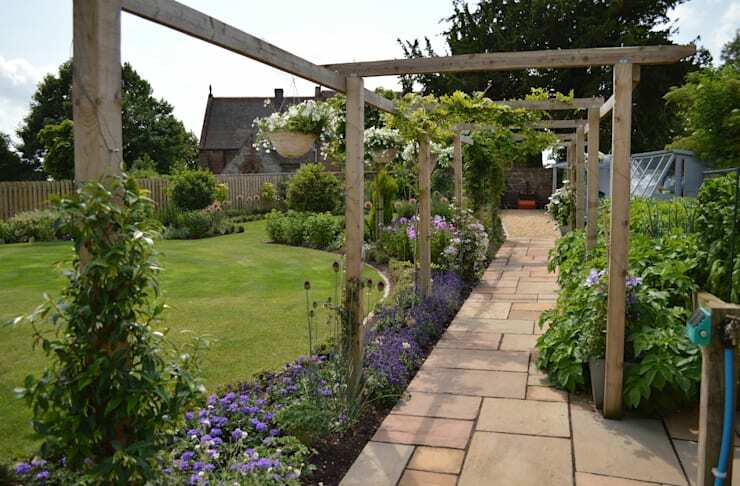 In this case, the designers have gone with a simple rustic pergola. 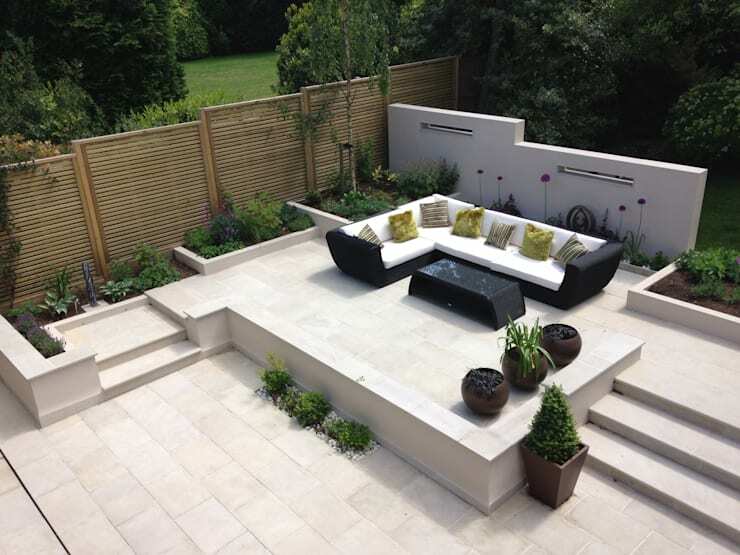 For such a creamy and bright colour, tan just doesn't get enough use in the garden. I mean, look at how golden and gorgeous this is! 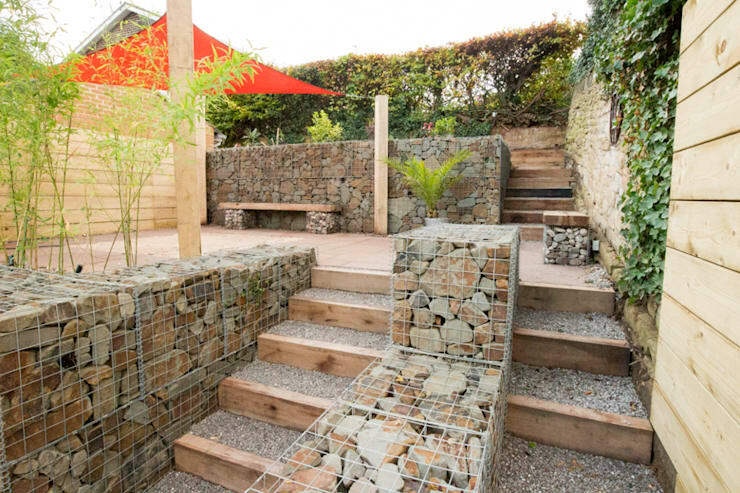 A gabion (a metal mesh cage full of rocks controls soil erosion. They can also be put to use as decorative elements that add texture. 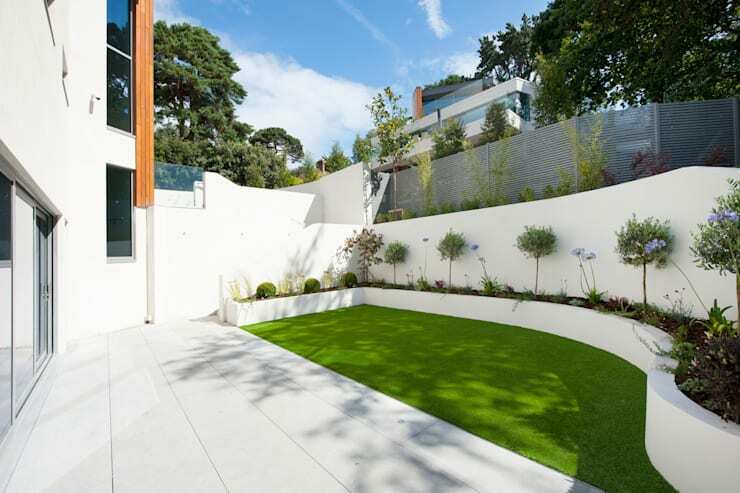 For a high-impact space pair the deep green of your lawn with a smooth white. 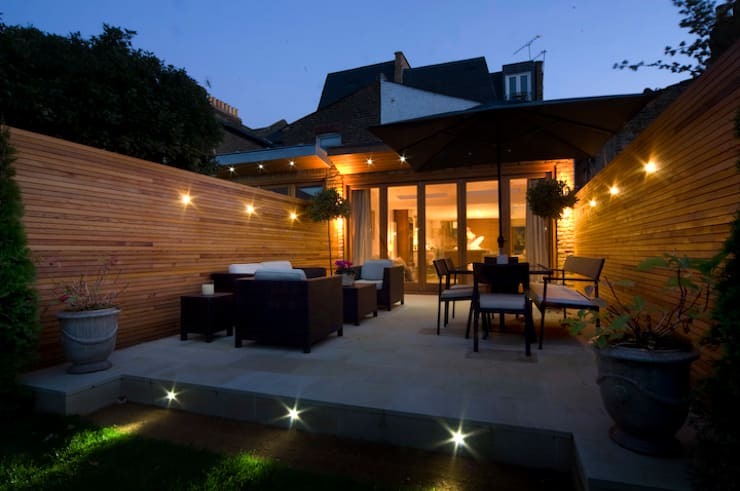 A little bit of light throughout the garden gives your summer evenings a romantic ambiance. Next, learn how to maintain your outdoor furniture.